Before diving deeper, i would like to clarify again that i am mainly talking about masculine and feminine energies and not genders. Although genders do matter because physical configurations create energy, every being is always composed of both polarities. So the point is not for women to be all receptive and men to be all active, or vice versa. This automatically brings disharmony internally and externally as it doesn't respect who we truly are. Both polarities need to be integrated and connected to each other internally, within each being. There has been a very difficult situation for divine feminine energy on this planet. We are bathed in a random quantum anomaly gone out of control, which is not what the design of Source is for creation. Creation is meant to be an exploration of pure harmony. Disharmony is not necessary for this exploration, on the contrary it blocks and suspends it. Think of a musical orchestra, being out of tune will never bring any good music, the music can only start once the whole orchestra is tuned together. Our real life can only start when we have harmony. Because of all these evil and out of tune things, we are often forced into a state of closedness. We simply naturally can not and do not want to receive disharmonious things. But then what happens is that most of the time we close our receptivity, and in that process lose our connection to real life. We stop listening to each other, we stop observing and feeling other beings and our environment. We stop connecting with all parts of ourselves. We become lost in a state of flight/fight without the anchor of feminine energy, of unity between all of creation. One good practice to help with this is to visualize red light coming out of our root chakra, through our legs (that can be seen as roots) and extend it inside the earth to its core and around our whole aura. However this problem can only be really solved with balance and connection of both polarities. On the other side, the situation for masculine energy isn't easy either. When faced with disharmony, masculine energy will have anger. Anger is often misunderstood. It happens when one is faced with a situation that should not be tolerated, it is a supply of energy coming from Source that is here to help change and resolve the situation, to take action and remove the blocks. This is why we have a lot of energy when we are angry. The matrix of course taught us to repress that energy, telling us there's nothing we can do to change the world, that this anger energy is bad and we should shut it down so we can just keep going along with our lives. When we do that, the huge amount of energy brought in by anger doesn't disappear, as physics show us energy never disappears, instead it becomes unconscious and subject to all kinds of misuse beyond the reach of our free will, like everything that is unconscious. The anger will then run around and become agressive (externally), or depression, apathy, lethargy and disease (internally). Most people on earth have a lot of accumulated repressed anger from lifetimes of abuse and disharmony, in fact we are all made by Source design which means we should all live in pure harmony, so in truth we're all uncomfortable to various extents from being inside the veil, whether it is conscious or not, so our masculine energy will naturally want to change things which is essentially anger, and as long as this is repressed and unconscious it is great fuel for the enslavers, who hijack it and use it for their own purpose, living off the very energy that is meant to bring them down. One good practice to help with this is to let the energy out in a chanelled way, at least at first to just express it while making sure not to affect others negatively : to realize it, say it, to make music or to dance or do any kind of art with it, to go out in nature and move our body, to break or cut wood (wood is great to absorb and transmute energy, using what is found on the floor, without killing living trees of course), to shout and roar, etc... The anger stocked in the body can also be felt and seen becoming golden light or violet flame burning up all systems of enslavement. When we are more in touch with that energy flow it can be used constructively to resolve the situation that caused it, for projects to help liberate this planet. Problems like these really need both polarities to be addressed for the situation to resolve. 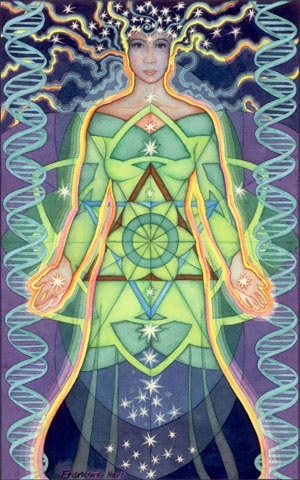 Healthy feminine energy can only exist and be receptive if it is connecting with healthy masculine, which can select and discern what is harmonious and what is not. Pure feminine energy on its own doesn't select, it is acceptance of all as one, so it is either pure acceptance, going along with everything, or repressed. Masculine energy sees things individually, it sees details, so it is able to say no to certain things and take action to change it. However, if it is by itself it can get stuck in details, lose purpose and the big picture, and its actions can't exist in a healthy way if they are not received, internally first. 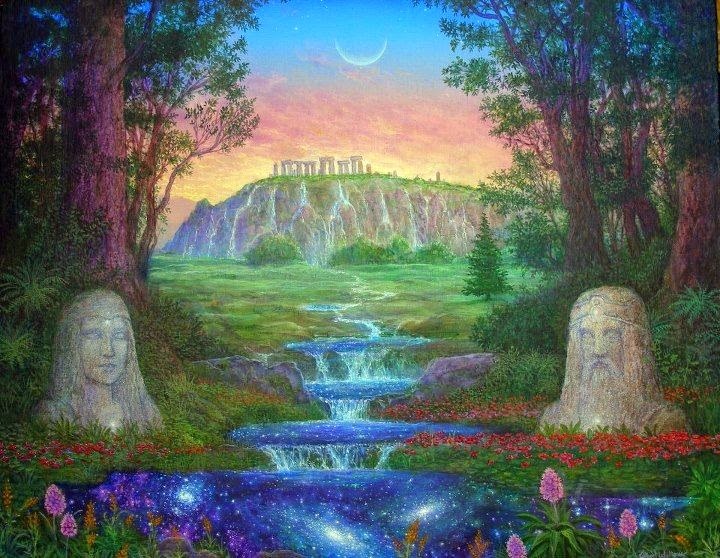 So the two polarities only exist in harmony when they are connected to each other, and distortions of one polarity will automatically create distortions of the other, and it will become worse and worse as the energy circulates between the two. When feminine energy is suppressed and there is no reception of masculine actions, the masculine will feel rejected, ignored and unsupported, without any outcome for its energy to circulate to, so it becomes more angry, and without a receptive channel for the anger to be chanelled in a healthy way it will become more and more distorted and toxic, so the feminine will close more and more. So obviously addressing only one polarity will not solve anything. 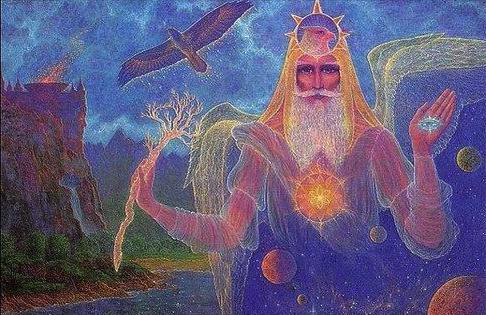 Pure divine masculine energy is about building, creating initiatives, new projects, change, diversity. It reaches out towards others and expresses love in creative ways. It asserts its truth regardless of any external circumstances, stands up for it and doesn't give it up. There should always be a bit of yin in the yang so it is also receptive of its environment in order to respect it, and harmonize its actions with its recipient. Pure divine feminine energy is about supporting others, tolerance, observation, listening, being still, letting go. There is great power in being passive, and letting energy flow, which will naturally be attracted to its center. Simply listening to somebody speak without trying to act towards them, but simply by having compassion for them, is very important for healing because it allows that energy to be passing through an open channel, towards being connected back with its Source. To look and see somebody for who they truly are, to recognize their essence and accept them inside us. To see things as a whole, as being interconnected and to recognize their interdependance. There should always be a bit of yang in the yin so it is not only receptive and passive, it can also choose directions, to direct what is passing through towards harmony.